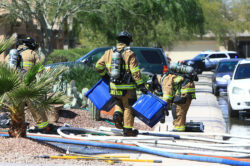 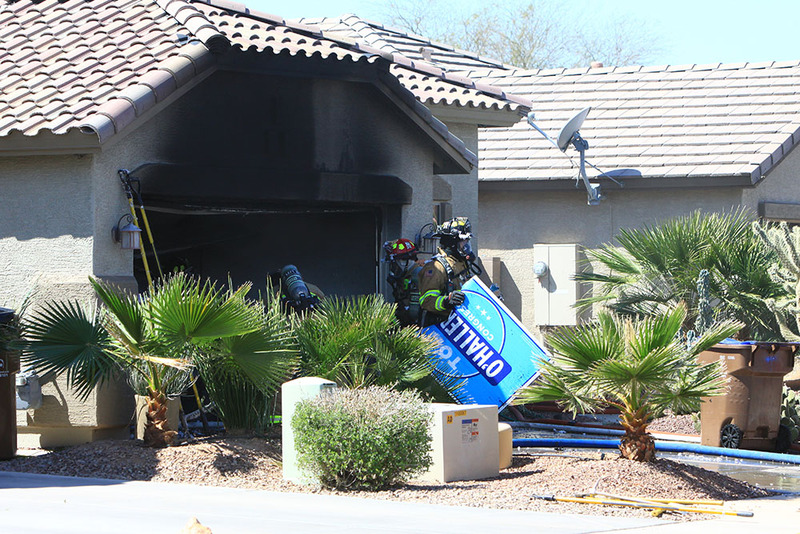 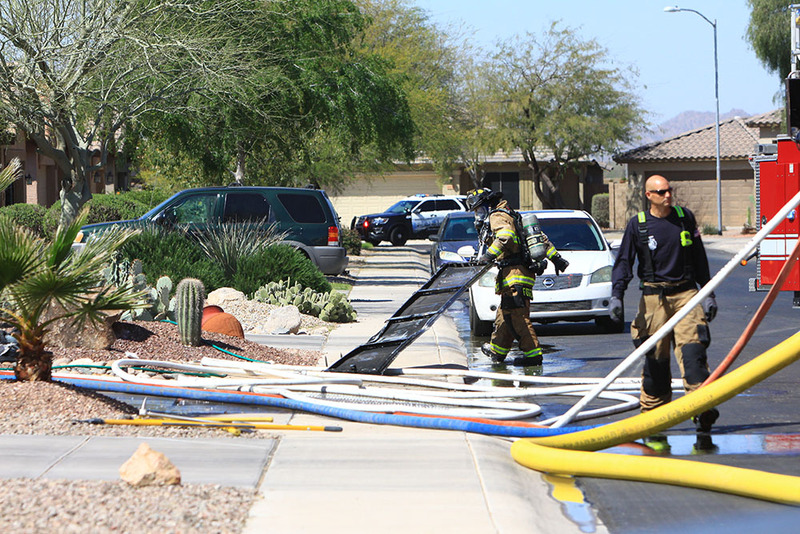 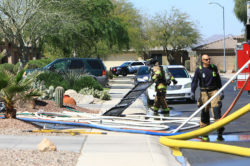 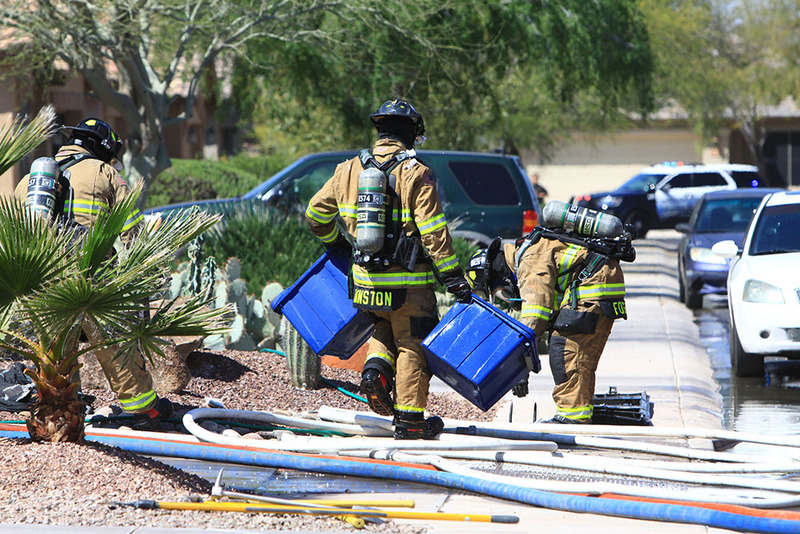 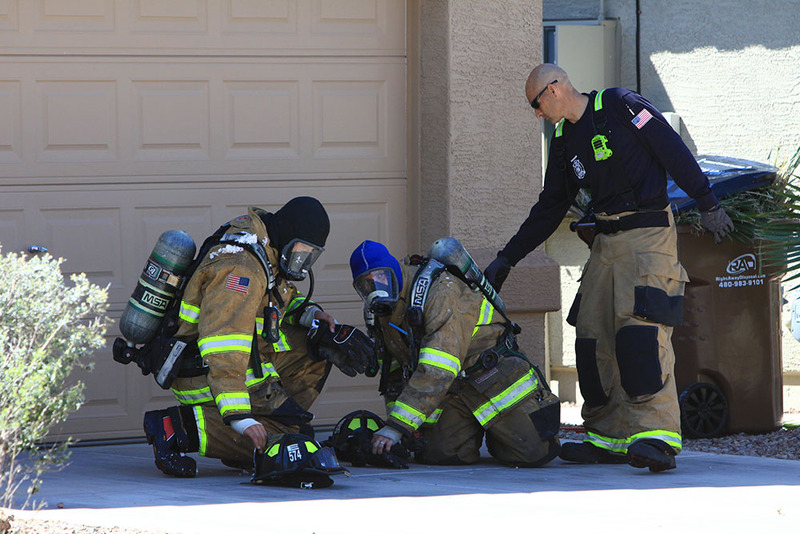 A male resident was injured about 11 a.m. Monday when a fire and explosion occurred in the garage of a home in the 46100 block of Guilder Avenue in Maricopa Meadows. 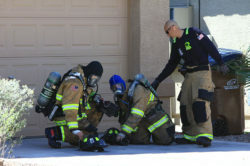 The man was treated at the scene by Maricopa Fire/Medical personnel. 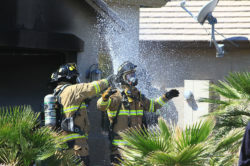 The cause of the fire was not yet released. 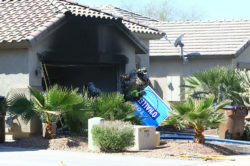 Three propane bottle were known to be in the garage.